Did you know that cats have secrets? They DO. But they keep their secrets, well, secret! Cat Secrets is the first book about cats' secrets, but it's for CATS ONLY. Do you think YOU know any of their secrets? If only you could read their book, Cat Secrets. But, remember, it is for cats only. Oh, you say you're a cat? Then, this book is for you, but FIRST you must PROVE you are a cat. Get ready to be tested! You will find Cat Secrets by Jef Czekaj is unlike any other book you will ever read... if you past the "cat test." 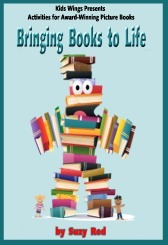 This hysterical addition to your library will be the perfect pre-writing starter for your own book! 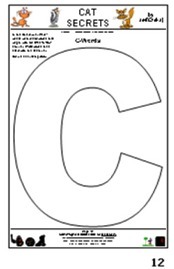 Units for $.67 each in a spiral-bound book with CD included! Wow! 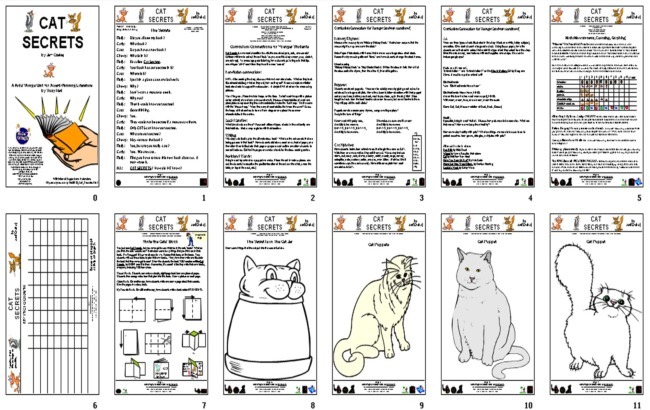 The Kids Wings 11-page activity guide for Cat Secrets Jef Czekaj provides fun and learning for grades K-3, perfect for lesson planning and printed handouts or projection slides on your SmartBoard! Readers' Theater Script, "The Secrets"
Buy Cat Secrets Jef Czekaj NOW!